The 55th annual Grammy Awards are coming up and the representatives for “Best Children’s Album” are mighty fine indicators of just how much the Children’s Music genre has to offer. Below you will find a list of albums and other goodies from this year’s nominees. So, take a listen and although you may not be able to vote per se, you can show your support by perhaps purchasing one or two (or more!) of your favorites. 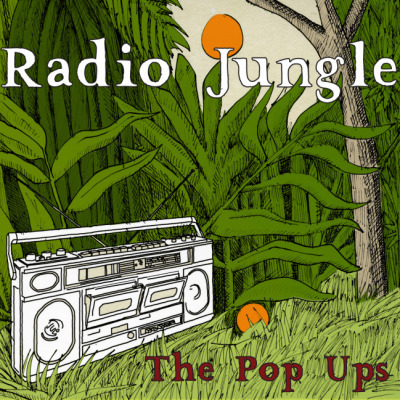 The second album from Brooklyn-based duo, The Pop Ups, Radio Jungle brings listeners on a musical adventure filled with dance beats, creative lyrics and educational topics. Listeners will explore constellations, a world created with a box of crayons, counting and even some puppets! The Pop Ups once again infuse their sense of humor and musical talent into a fun set of songs. So take a journey through the wilderness and listen to Radio Jungle through the SoundCloud widget below, along with a video for their wildly popular single, “Box of Crayons.” Radio Jungle is available for download and purchase through the BandCamp widget below, Amazon and iTunes. 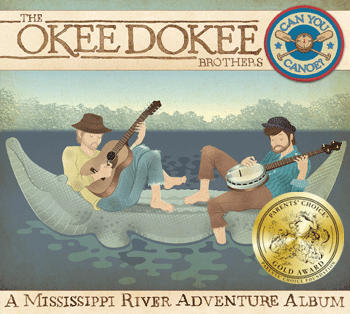 The Okee Dokee Brothers – Can You Canoe? Just as the subtext on the cover says, Can You Canoe? is “A Mississippi River Adventure Album.” Justin Lansing and Joe Mailander made their way down the Mississippi River in a canoe over the course of a month. During that time, they paddled their way from Minnesota to St. Louis, writing songs inspired by the beauty of the natural world around them. With songs about camaraderie, bullfrogs, mosquitos and camping under a blanket of stars, Can You Canoe perfectly illustrates the brothers’ journey down the river. In fact, it could very well prepare you for your own river odyssey, should you be so bold. You can learn more about the Okee Dokee Brothers at their official site, where you can also purchase a CD/DVD combo, which includes the 15-track album and a documentary of the making of the album. Below are a couple of videos, a trailer from the DVD and a widget containing a few audio samples from Can You Canoe? Bill Harley is a master storyteller and certainly no stranger to Grammy nominations, being a two-time Grammy award winner in his own right. 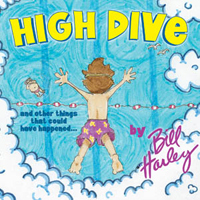 And now he’s back with High Dive, a hilarious collection of stories and songs about childhood. Listeners will find Harley emotive, engaging and suspenseful as he spins tales about a maniacal goat, a field trip gone awry, and finding out that perhaps mom is actually right, sometimes. Especially relevant to this time of year is a Valentine’s Day story with inadvertently “monstrous” consequences. High Dive is a hoot that will capture the attention of both kids and adults alike. You can listen to samples and purchase the entire album at Harley’s official site. A Swinging Jungle Tale is a mix of stories and songs about the adventures of a girl named Claire and her stuffed animal friends. What is impressive about this album is the amount of work the creators put in to make it as interactive as possible. The story aims to incorporate listeners by encouraging them to use their imagination along with Claire, as she travels through the jungle (which also happens to be her Grandfather’s backyard) and meets imaginary friends. The album’s cover art is bright and colorful, while the soundtrack was inspired by world-renowned jazz artists, including the legendary Ella Fitzgerald and improvisational master, Thelonious Monk, to name a few. 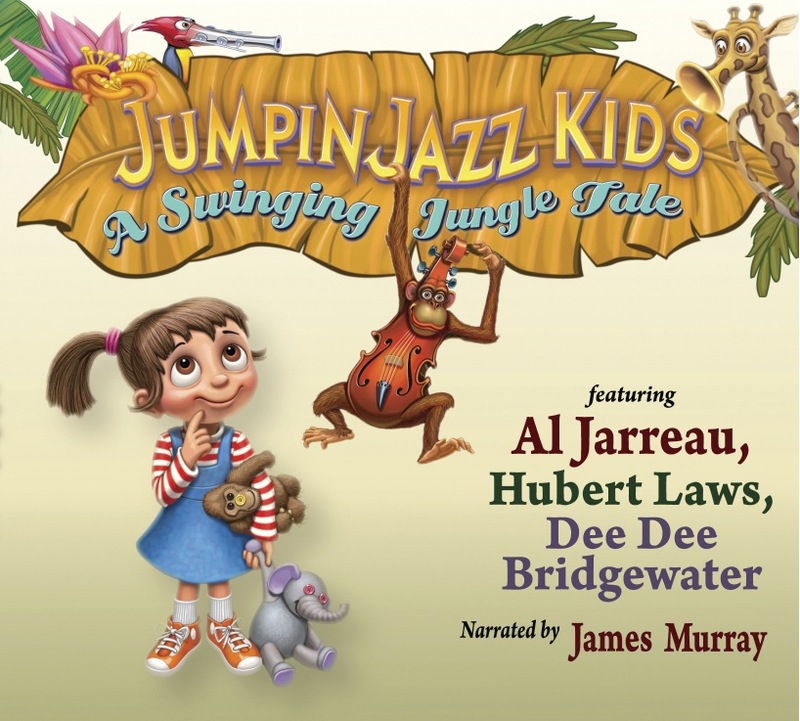 You can read more about Claire and the making of A Swinging Jungle Tale at the Jumpin Jazz Kids official site. You can listen to A Swinging Jungle Tale through the widget below. The album and its accompanying storybook are available for purchase through the Jumpin Jazz Kids store, as well as, CDBaby. Mitchell brings color and life to her re-imagined versions of Woody Guthrie’s earlier recordings. The songs covered on “Little Seed” stem from two of Woody Guthrie’s children’s albums, recorded in 1947, called “Songs to Grow on for Mother and Child” and “Nursery Days.” Like Guthrie, Mitchell is a folk frontrunner and icon in her own right, being the first female children’s artist signed to the Smithsonian Folkways label and certainly one of the most beloved. 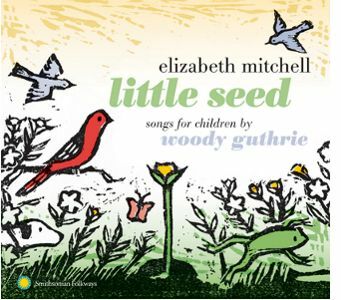 On Little Seed, Mitchell very easily glides through some complex tongue-twisting lyrics, which happen to remind me of a few Dr. Seuss books, making it even easier to follow along than some of the originals. Mitchell’s voice, as usual, is soothing and clear like a serene lake and refreshing like a cold glass of water on a hot day. You can read my full review of the album here. You can learn more about Little Seed at Mitchell’s official site and view a couple of videos from the album below. Little Seed is available for purchase through Mitchell’s online store, Amazon (CD or MP3) and iTunes. Thanks for posting on these wonderful artists! And thanks for all of your past coverage of Elizabeth Mitchell. If you didn’t already know, they will be performing all together at The Mint in LA in early February. All proceeds will benefit Mr. Holland’s Opus Foundation, dedicated to providing musical instruments to under-funded school programs. Please spread the word about this event and thanks again for your support. Thanks so much Robin! It’s been my pleasure to be exposed to all these wonderful artists. Elizabeth Mitchell always brings a smile to my face! I also appreciate the information regarding The Mint celebration. I actually already have my tickets and am looking forward to meeting everyone. Hopefully, we will get a chance to meet as well.